Hybrid cars accounted for a record 20 per cent of European Toyota and Lexus sales in the first quarter of 2013, highlighting buyers’ increasing preference for low-CO2 vehicles. 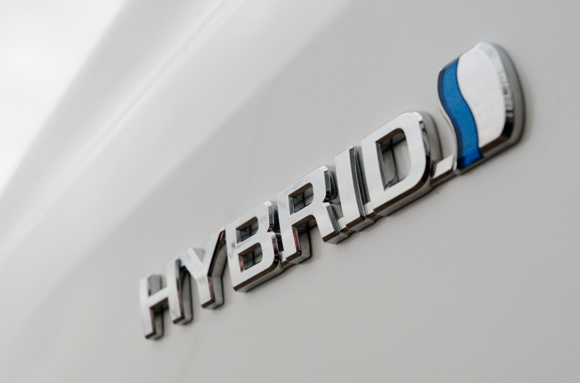 The latest results also reveal that full hybrid sales for Toyota and Lexus in Europe are up 82.3 per cent year-on-year, with cumulative hybrid sales of 544,184 – 10 per cent of the worldwide total. The resulting CO2 emissions reduction is equivalent to approximately 3.4 million tonnes. As we reported last month, Toyota is fast approaching the milestone of selling five million petrol-electric cars, and the pace of sales in Europe has been described ‘particularly encouraging’ by Daniele Schillaci, Toyota Motor Europe’s Senior Vice-President for Sales and Marketing. Sales of Auris Hybrid reached 12,736 units during the first quarter of 2013, an increase of 69.2 per cent compared to 2012. The Toyota Yaris Hybrid, recently named the most fuel-efficient car in Germany by Auto Bild with the lowest cost per kilometre, achieved 11,459 European sales during the first quarter of 2013. Schillaci also said that the launch of new Auris, RAV4 and Verso models, as well as the upcoming Auris Touring Sports, would lead to further success in 2013. Auris sales increased by 41 per cent in the period, to 32,625. Toyota sales in the UK increased by three per cent during the first quarter of 2013. Find out more about Toyota Hybrid on toyota.co.uk, and the Lexus hybrid line-up on our sister site, blog.lexus.co.uk.